With hard metagame data being increasingly hard to come by, having several events in a row is a relief. Rather than extrapolation and conjecture, data and fact can guide my recommendations. This string of Star City events will provide an excellent guide for those heading to GP Las Vegas, and preparation and information are the keys to victory. I expected SCG Minneapolis to have a metagame similar to the Louisville open last week. It made sense given how little time separated the events. However, my hypothesis has proven to not be correct. While there are certainly similarities in the overall metagame composition between the two events, the changes that were obvious in Louisville are missing in Minneapolis. Exactly why remains unclear, though as always I have theories. I was surprised by how few players made the cut for Day 2 last weekend: 67 compared to 154 in Louisville. The only explanation I have is players spending Memorial Day elsewhere. However, I’m also told that the cuts for Star City events can be weirdly non-indicative of the starting population, so if anyone knows why fewer than half as many made it in Minneapolis, please share. I do suspect that at least some of the variance between this event and the previous one can be explained by this apparent population drop. The Day 2 metagame is both very familiar and very surprising. Humans is back on top, reflecting its observed position in the overall metagame, but after that, things get weird. There’s a noticeable drop off from first with nine to Jund in second with six, while Jeskai Control, UW Control, Affinity, and Burn are all tie for third at five apiece. Considering how Jeskai dominated last weekend, this is an odd development. Elves fell off precipitously compared to last week, going from fourth place to low-Tier 3. Again, the apparent change in starting population may be the answer for these weird changes; the smaller the n of a sample, the more outliers affect the sample’s statistics. However, this isn’t a good explanation for Humans result. Again, the deck is very targetable, and that is exactly what happened in Louisville, so why not in Minneapolis? The explanation may lie with the data itself. Jeskai is present in decent numbers, but it’s matched by UW Control. The decks have similar matchups, though in my experience Jeskai is better against Humans while UW is better against big mana decks, so it could come down to a matter of taste. However, there is another possibility, because I’ve seen UW as favored against Jeskai Control. Jeskai is great at playing at instant speed and outfoxing its way to victory in control mirrors, but UW is able to play more of the game-winning haymakers and countermagic that usually dominate mirrors. I’d wager that at least some of the UW pilots looked at the results of Louisville and decided to shift off Jeskai to beat the control mirror and the anti-Jeskai decks that might arise. Accompanying Classics are often populated by decks that washed out of Day 1, making it reflective of the starting metagame. Certainly, this Classic looks very different to the Open, being awash with combo and featuring very little control. This makes sense given the prevalence of Humans in the Open results and its excellence against Storm and similar combo decks. There are also far more big mana decks in the Classic than Day 2. Players may have come to Minneapolis expecting a metagame very similar to Louisville’s, only to be surprised to find Humans running wild again. The apparent big mana push is also a plausible reason for UW Control’s presence in Day 2. The Open furthered the narrative of the Day 2 numbers. Both Humans and blue control decks placed six copies into the Top 32, more than any other deck. Jund was the only rival at four, while no other deck mustered more than two copies. To be sure, this is partially a function of population, but it isn’t entirely reflective. Collectively, control had the highest population among the Day 2 decks, but Jeskai and UW were tied at five, indicating even advantage. However, UW’s representatives in Top 8 placed 22nd and 23rd while Jeskai claimed 2nd (thanks in no small part to flooding out), 5th, and 16th. Higher places and higher population suggests Jeskai was the superior deck for Day 2. Jund’s performance is intriguing. Only one Jund pilot made it to Top 8, but only one didn’t make Top 32. These results speak to the lurking power of the deck: Jund can be overwhelmed or outraced, but never be ignored. The consistent-if-unexciting results from Jund may indicate that it’s just waiting for a final piece to really be a threat. Also of note is that Eldrazi Tron made fourth despite almost being replaced by RG Eldrazi a few weeks ago. E-Tron has always been a menace to slower midrange and control decks but struggles against Reflector Mage. Given how prevalent Humans was on Day 2, Carl Johnson’s result is very impressive. Except for the maindeck Kessig Malcontents, itself a common tech, this deck is as stock as it gets. Looking through the results of both the Open and Classic, the story repeats. There’s not a lot of meaningful deviancy among the lists. Sure, there are some numbers that differ here and there, such as a Mana Leak instead of Logic Knot, but in practical terms, the archetype lists are the same. There aren’t even that many different decks for a Modern event, and only one that really stands out as unexpected. That list is Andrew Fielder’s Tezzeret Prison deck, which despite being an object of wonder (mine being how it beats control decks) doesn’t mean anything analytically; anything can do well in Modern, so only consistent results signify larger trends. This also makes the Jund lists stand out. The core cards are present across all the decks, but not in consistent numbers, and with many deviating support cards. This is typical for Jund and usually done for edges in the mirror or expected matchups. However, the highest-placing Jund deck is card-for-card stock in my eyes. I don’t think this is an accident. Certainly, one should expect lists to be similar (that’s why archetypes exist), but the degree to which the decks from Minneapolis converge suggests they’re moving towards a “correct” build. More data is necessary, though I first noticed this trend from MTGO results: decklists identical to this degree is very unusual and could be important going forward. It does give credence to my theory that Modern has stabilized around Humans and has now entered dynamic equilibrium, wherein metagame fluctuations will happen predictably around the center of gravity. Whether this is something to be used and exploited is not clear yet, but should be certain after next week. Control is back in force, but in a form atypical for Modern. In a change from last week, all the Jeskai decks from Minneapolis are pure control decks, as are the UW lists (though that is to be expected). I am not certain why Jeskai Tempo isn’t present. I’m not complaining, mind you; I’ve wondered for years why there weren’t more control decks in Modern. The pieces have always been there, and there have been metagames that should favor answer decks. The fact that it’s only happened now is interesting, but inexplicable. Search for Azcanta and Teferi, Hero of Dominaria are fine cards and certainly help win the long game, but before them, there were plenty of options like Sphinx’s Revelation or Jace, Architect of Thought. Given that the deck’s core hasn’t changed in years and there’s nothing particularly new or interesting in the Minneapolis decklists, there must be some other reason. Once again, I blame perception. There’s always been a bitter narrative that control isn’t viable in Modern, though the reasons always change. Sometimes it’s format speed, sometimes it’s Tron or deckbuilding flaws, sometimes it’s Modern’s diversity, and sometimes the complainers are even right. This omnipresent opinion has always held sway, and given the lack of concrete evidence to the contrary, players bought in. Very few control decks won events or even did well in 2015–2016, so it looked like the control isn’t viable narrative was correct. There were certainly some attempts to break this perception, but they never seemed to stick. It appeared to me that as soon as the new control deck didn’t just crush an event, the “Control is Dead” shouts would return, turning players off the decks. Thus the perception became a self-fulfilling prophecy. The perception has certainly changed and may now be largely dead. 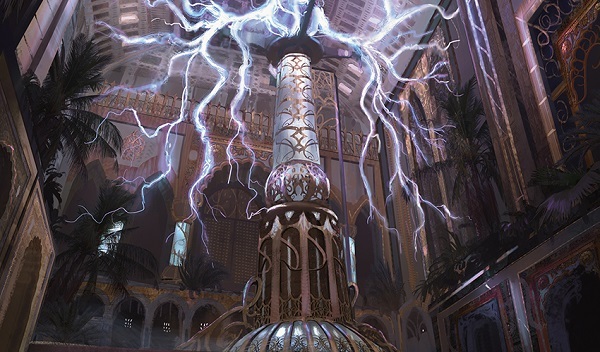 As cards have been printed, players have had reason to test control decks and gradually prove to themselves that the narrative about Modern control isn’t true. Arguably this process began with Kolaghan’s Command and Grixis, but last year’s explosion of Jeskai Tempo really supercharged the process. There was proof that answer heavy decks not named Jund were viable, so once more cards that could slot in were printed it was off to the races. Perhaps ultimately this is the reason that pure control is replacing tempo control. It was always assumed that pure control wasn’t viable, so playing an answer strategy required a fast clock. Now that the illusion is finally shattered players can play the control deck they always wanted in the first place. So the results have been counted and the readers have spoken. The next banned card I will be testing is Green Sun’s Zenith, which I will henceforth and in perpetuity only call GSZ. The result is surprising; I thought Dig Through Time (DTT) would be a shoe-in. I was also hoping it would win because I already had the deck to test it in ready. UR Delver got DTT banned by association so it is the obvious test platform, but with GSZ it isn’t obvious. GSZ had a profound impact on the first Modern event, taking Josh Utter-Leyton and a fair deck to the Top 8 of a broken Pro Tour, but was banned immediately afterwards. The inheritors of the green toolbox tradition all rely on non-green creatures now and are primarily combo decks, so I’m not entirely sure what the most appropriate test deck is. Legacy suggests Abzan is best, but Legacy is Legacy so that may not apply to Modern. I am open to any suggestions left in the comments. Star City Regionals are this weekend for those east of the Mississippi. This massive data dump will show fairly definitively what the metagame actually is before GP Las Vegas. I suspect that the trend I’ve observed the past month will hold true, but I hope it doesn’t. The unexpected is always far more exciting and easier to write about. Still, my advice is to not bet against Humans. It’s still, mysteriously, holding its ground. There were actually significantly more people in attendance at Minneapolis. In Louisville the person in 64th was the first person with 18 points and that record ran WAY down the lists. In Minneapolis, the cut was much cleaner and the record only went a bit below 64. So it is true, the higher the attendance at an SCG event, the fewer decks get reported. That is…incredibly counterintuitive. Maybe due to the way pairings work, a larger population of players leads to a larger percentage of them having to play against each other, causing more of them to hit the 4 loss threshold? Elves seems like the most obvious home for GSZ. If not Elves, I think some sort of CoCo combo/creature toolbox deck would be the next best fit. Either way, make sure to run a Dryad Arbor or two! The effect on Elves doesn’t seem like it would be that big of a deal, but you have to remember just how much stronger the Heritage Druid draws are than all the other ones. Having another 4 copies of Druid that double as anything else you might need could be a big deal. As for CoCo decks, I think GSZ replaces either CoCo or Chord. Decks with the Devoted Druid + Vizier combo seem like the best place to start, where GSZ gives them a lot of extra redundancy and makes it easier to fight the midrange plan B. Had completely forgotten about Elves. That makes a lot of sense. Question is whether to drop Company or Chord. Ive heard gsz suggested for scapeshift/titan decks. You use it for arbor, tribe elder, prime time, and some silver bullets. Is that actually good? Unclear, and maybe not the place to start for a “sanity check” on the card. As primarily a mono-green ramp/devotion/T&N player I wholeheartedly love the idea of GSZ. Also, there is at least one green creature that is modern legal that can replicate the vizier interaction with devoted druid (under certain conditions), Elder of Laurels, the downside being that you need at least 3 creatures besides the Elder and Druid on the battlefield, and it takes 4 mana to start, but it also has the side benefit of also being your infinite mana win condition as you can infinitely pump all your creatures and swing, so you don’t need the 3rd “mana-dump” card in the combo. Gsz! Excellent. Toolbox (devoted etc) or elves is going to be your home there. Very excited to see where you end up. As for your comment on DTT: delver wouldn’t necessarily be a good fit. When it was legal, it only really saw play in rug scapeshift. Delver, much like burn and even jund at the time, all adopted treasure cruise for the raw card advantage and never cared much for the card selection offered by DTT. it’s a testament to treasure cruise’s power that completely off-colour decks we’re willing to splash for the card, but dig through time is another story entirely and you’d likely be disappointed by its performance in a delver shell. Two mana is a lot. That said, if the card was ever unbanned, I would definitely try it across multiple decks and delver would indeed be one of them. Scapeshift would be my first choice though, as apart from anything else there’s already a history of the deck adopting the card (and resulting in the most convincing tier 1 streak in the deck’s history!). Other options are of course jeskai or UW control and either would be a good choice, but fishing for a combo piece in your opponent’s end step is what DTT does best. All the best! Look forward to your new green article haha. Right up my street in terms of content. Wizards’ reasoning when the banned DTT was that it would just replace Cruise. As UR Delver was the best Cruise deck by a mile I would be testing the veracity of their claim. Not that it matters, won’t be testing it for some time. In Legacy, Cruise and Dig went into different decks when both were legal, Dig was definitely not used as a substitute for Cruise after the latter was banned, but both cards still ultimately ended up banned; Dig only survived one B&R cycle longer than Cruise did. Cruise was played in aggro-control decks (i.e. Delver) while Dig was played in hard control (i.e. Miracles) and combo decks. The point of what I’m saying is that testing Dig in a Delver shell seriously risks underselling the card. Testing it in Jeskai Control and in the combo versions of Blue Moon (Kiki-Jiki and Breach/Emrakul) makes more sense. First of all, david, i love your articles and análisis, thanks for your work! I play UWx control for the last 3 years, and I have to say that in the last editions we receive a LOT of tools that make our bad or mediocre MU a lot better. Field of ruin is the perfect example in uw control strategies and the way to defeat big mana strategies in a solid way. Search for azcanta and teferi are BIG cards, and make BIG differences. Jeskai can’t remove noncreatures permanents (unles you use detention sphere in a deck that need play almost all there answer at instant speed). Now we have an instant wrath that exiles creatures and that give us a better Mu against hollow, finks, etc. Gideon OTT give UW the possibility to play full control and don’t be totally destroyed with burn. Revelation and Jace AOT wasn’t cards that can be decent in almost every MU, they are specific cards (revelation is horrible against fast decks and jace is great but most a SB card). Teferi, Gideon OTT, azcanta, field of ruin, and settle are great control cards, and now we have the tools to compete in modern. 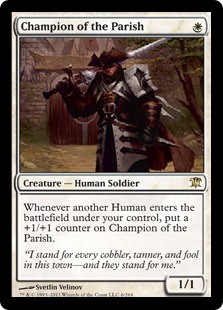 Though in my infinite bias if love to see it in a doran + tower defense deck. But where it’d probably prove/disprove banning is elves, prime time, and devoted druid decks. It seems like the public is into elves, but there’s also a lot of obscure picks like bant knightfall. So another home for gsz I haven’t seen mentioned is infect. Being able to grab dryad arbor or glistener elf at almost no cost could add some much needed resiliency and redundancy back to infect.